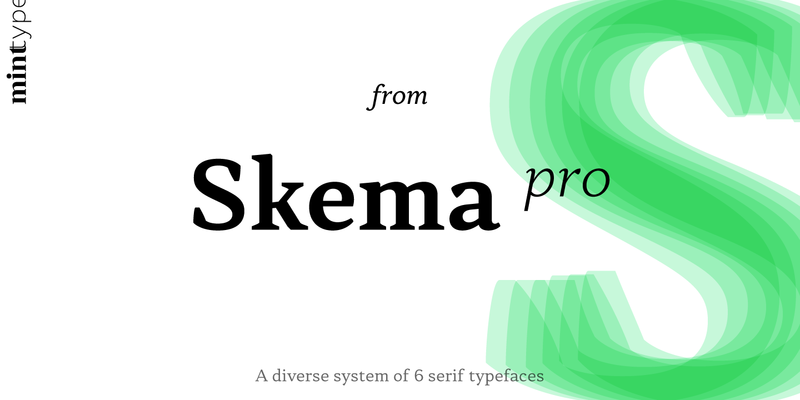 Skema Pro is a versatile system of 6 serif typefaces - each bearing a distinct character and purpose. 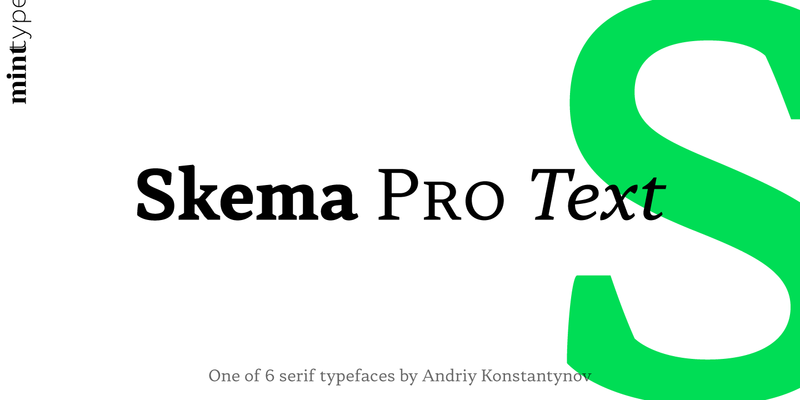 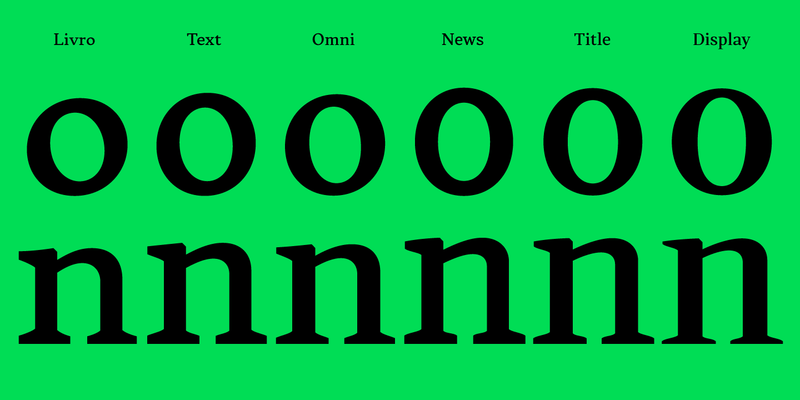 Together they form a huge superfamily of 84 fonts to fit any imaginable task. 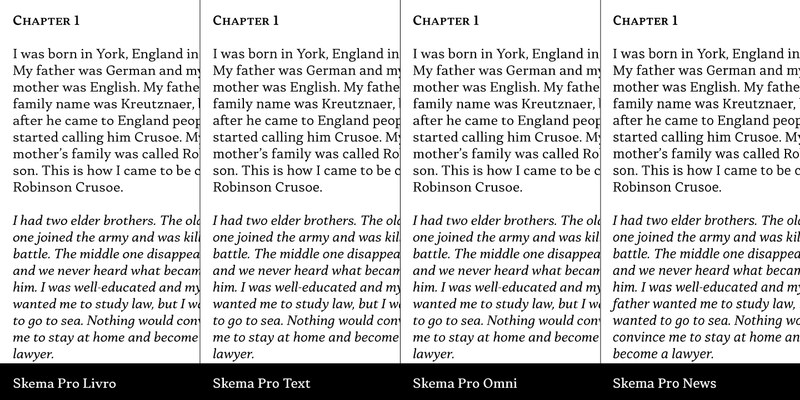 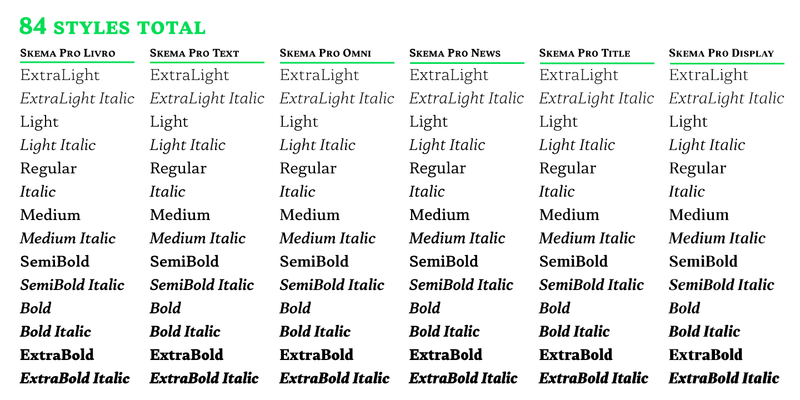 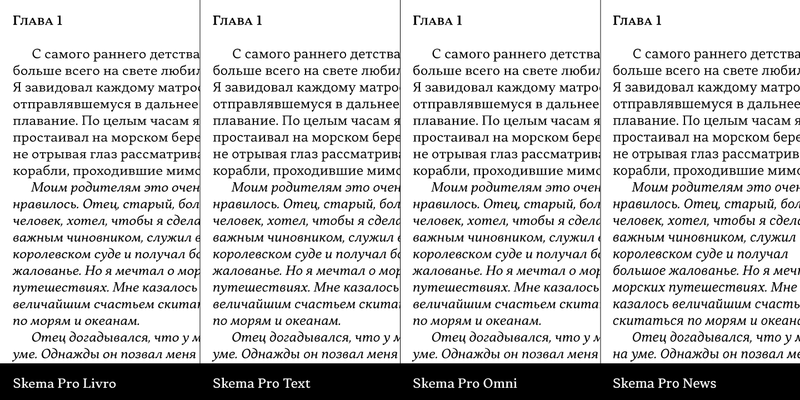 Skema Pro Text has low contrast, medium x-height, and slightly tilted axis. 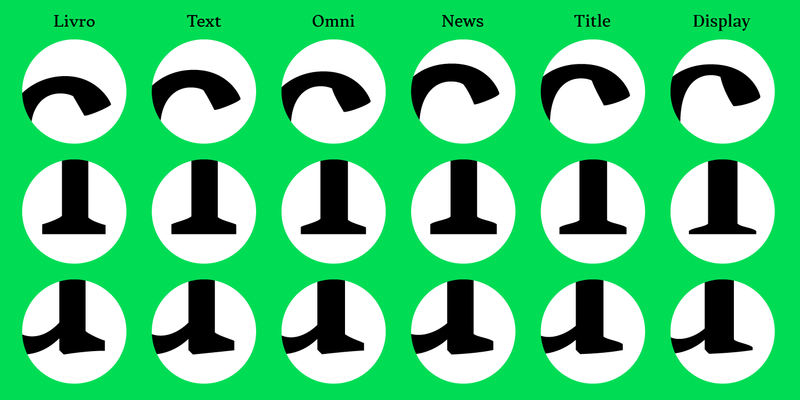 Its neutrality along with modern feel makes it default choice for long texts of any nature.